Gather around you spooky ghosts and cackling witches: The best locations for scoring Halloween loot in 2014 are secret no more! 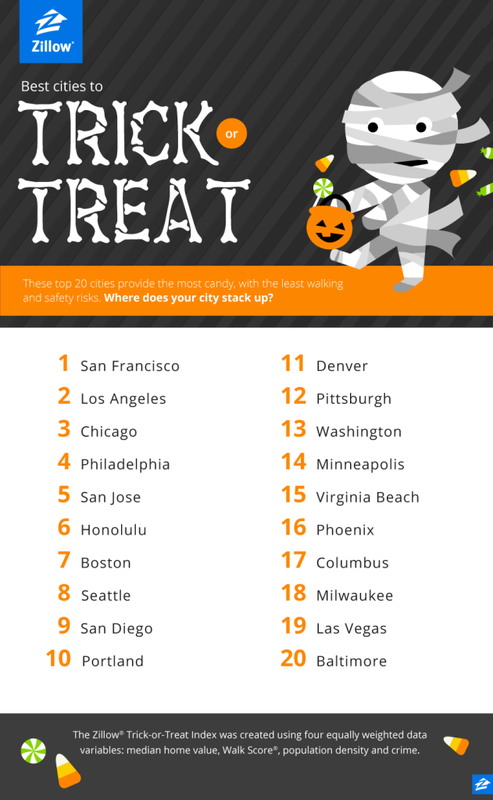 Every year, the candy-loving data heads at Zillow team up to find the top 20 cities around the country for trick-or-treaters in search of the most candy on the safest streets. If your city was sweet enough to make the list this year, be sure check out the top five hottest neighborhoods that also made the cut. We’ll be rolling the neighborhoods out for five cities at a time each day for the rest of the week, so don’t forget to check back. We take data seriously here at Zillow, even when it comes to trick or treating. While wealthier neighborhoods are often known for their frightfully sweet harvest on Halloween night, we calculate the Trick-or-Treat Index using a holistic approach with four equally weighted data variables: Zillow Home Value Index, population density, Walk Score® and local crime data from Relocation Essentials. 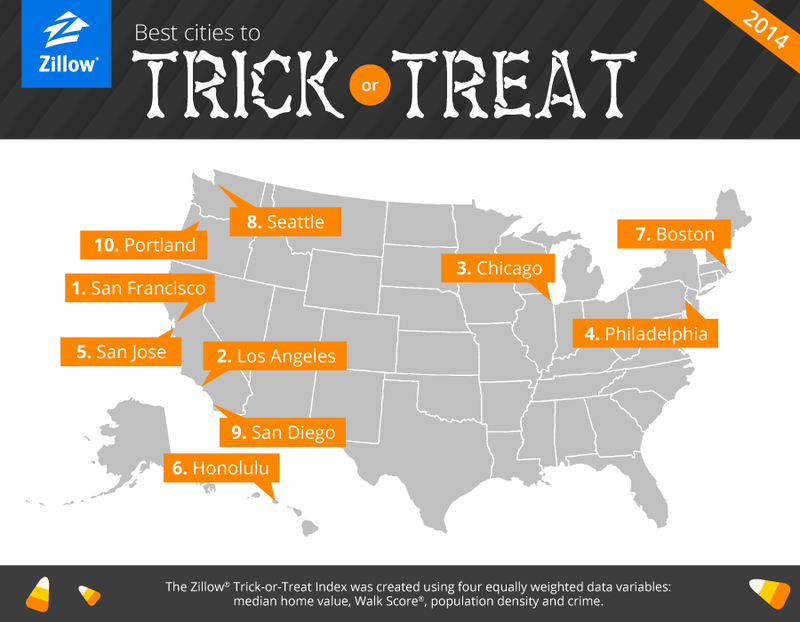 Based on these variables, the index represents cities that will provide the most candy, in the least amount of time, with the fewest safety risks. Want to put the list or map graphics on your website? Email press@zillow.com, and we’ll send them your way!